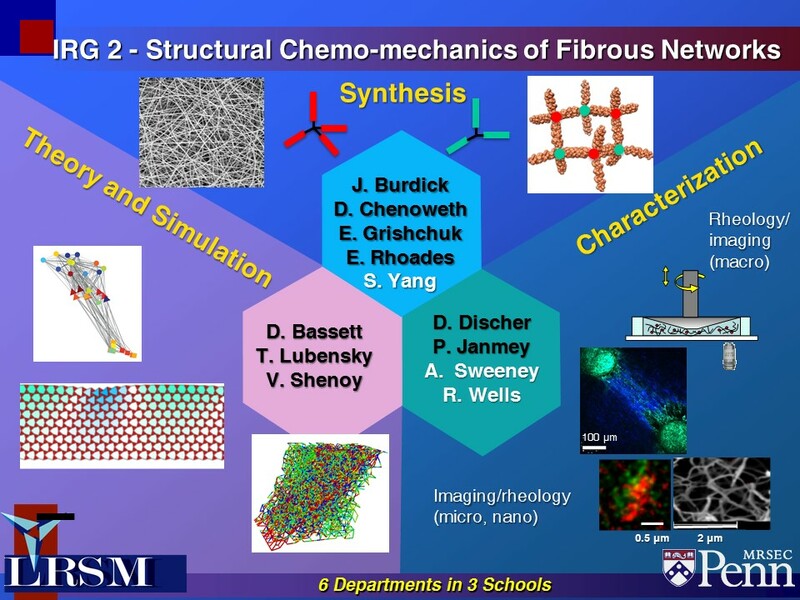 The Materials Research Science & Engineering Center (MRSEC) at the University of Pennsylvania pursues a multidisciplinary approach to solve fundamental materials problems that are likely to underlie future technologies, and thereby, substantially impact the research and educational needs of society. 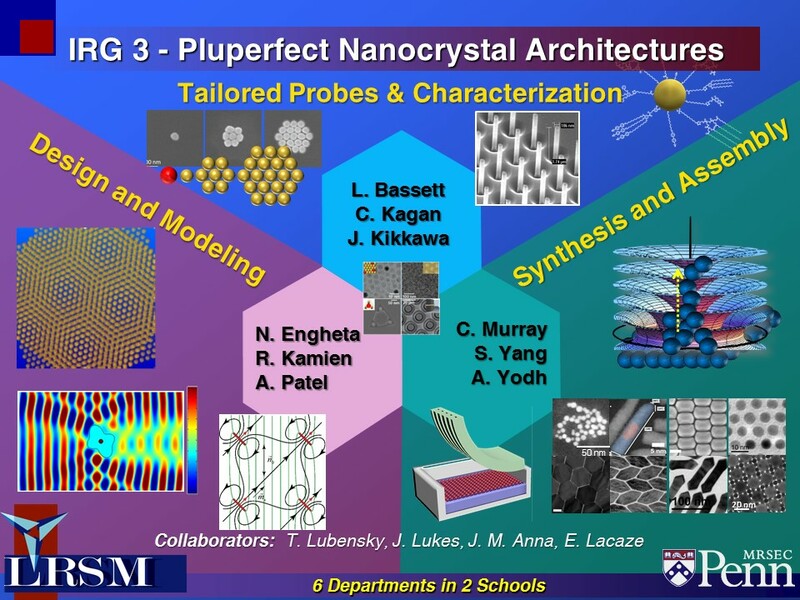 The Laboratory for Research on the Structure of Matter (LRSM) is the intellectual focal point of materials research at PENN. It hosts the MRSEC, which consists of three Interdisciplinary Research Groups (IRGs) plus continually evolving Seed projects. The MRSEC provides crucial support for faculty, postdoctoral fellows, and graduate students drawn from different disciplines, to tackle complex materials science projects that can only be addressed in a truly collaborative mode. 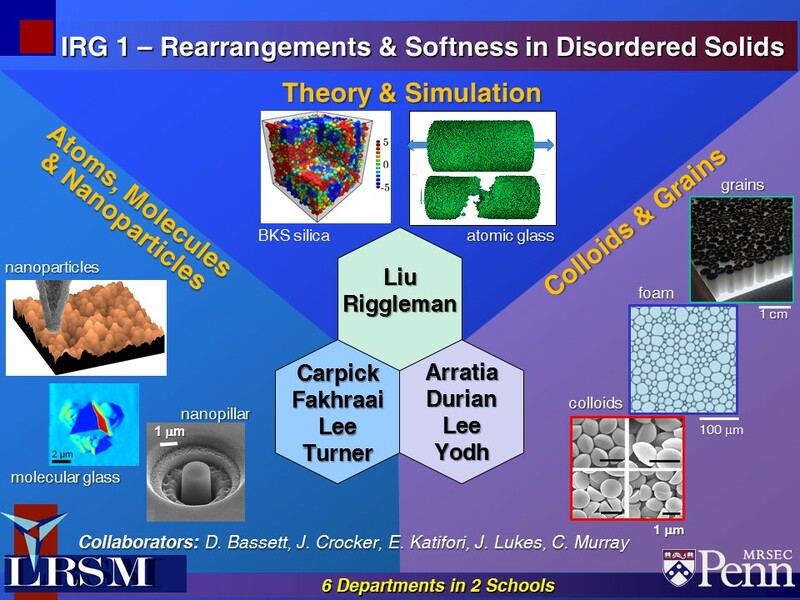 In this way, the MRSEC exploits PENN's strength in the design, synthesis, characterization, theory and modeling to create and understand entirely new classes of materials. The broad expertise, sophisticated equipment, plus the technical and administrative infrastructure that exist in the LRSM enable these projects. The LRSM plays a special role on the PENN campus: It facilitates collaborations between faculty from different departments and schools, and it promotes links to partners in industry, government, academe, and society at large. The LRSM has experience in managing IRGs, nurturing Seed projects, and acquiring, building and maintaining shared experimental facilities (SEFs) for the benefit of the materials research community. The LRSM provides education & outreach in this "research" context and has moved aggressively in the area of human resources development (HRD) through programs that target students at all levels from K-12 to post-docs, teachers, small college faculty, regional academic, industrial & governmental scientists, the international scientific community, and the general public. A primary goal of our education and human resources development effort is to attract more Americans to STEM fields and take them to the highest educational level possible, with emphasis on underrepresented minorities, women, and the disabled. A second goal is to educate the general public about important ideas in materials science & engineering and about the societal relevance of the materials field.